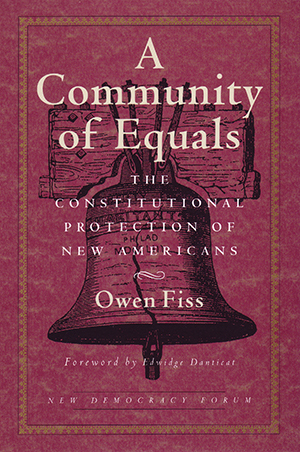 In this timely book, Owen Fiss examines the paradox of new immigrants being stripped of their rights within a democracy committed to equality. Arguing that it is in the interest of all of us-citizens and citizens-to-be-to live up to the promise of our Constitution, Fiss challenges the courts to invoke the courage they once brought to landmark civil rights cases and to apply it now to preserve a community of equals. Distinguished scholars and activists respond and debate the implications of Fiss’s argument. The New Democracy Forum is a series of short paperback originals exploring creative solutions to our most urgent national concerns.